A water filter system that’s installed at the main point-of-entry where water comes into the home can target many household water problems that less sophisticated filters routinely miss. Often effective at removing common additives like chlorine, as well as a host of impurities, such as iron, sulfur, manganese, and sediment, a high-quality whole house water filtration system can serve as a homeowner’s first line of defense against impure water. Almost every household can benefit from a water filter system because all sources of water – including municipal supplies and privately owned wells – contain some level of manmade and naturally occurring contaminants. The reason is that water is a universal solvent that can dissolve and absorb virtually any substance it comes into contact with. Consider that, as water travels from its source to a home, it makes its way through multiple layers of soil and ground rock. Additionally, public water meanders through a maze of aging municipal pipes constructed of various metals before it reaches its final dispensation point – a household tap. To the average homeowner, all of this might seem a bit overwhelming. 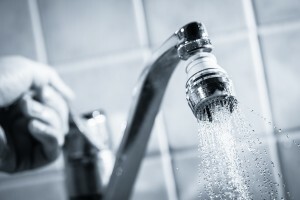 For help in choosing the most appropriate water filtration system, a homeowner can consult with a local water expert who can perform a professional water test, explain the results, and recommend suitable treatment options. The water treatment professionals at RainSoft have been making good water better for homeowners since 1953. For a complimentary, in-home water analysis and personalized recommendation on the best water filter system for your home, contact a local authorized RainSoft dealer today.